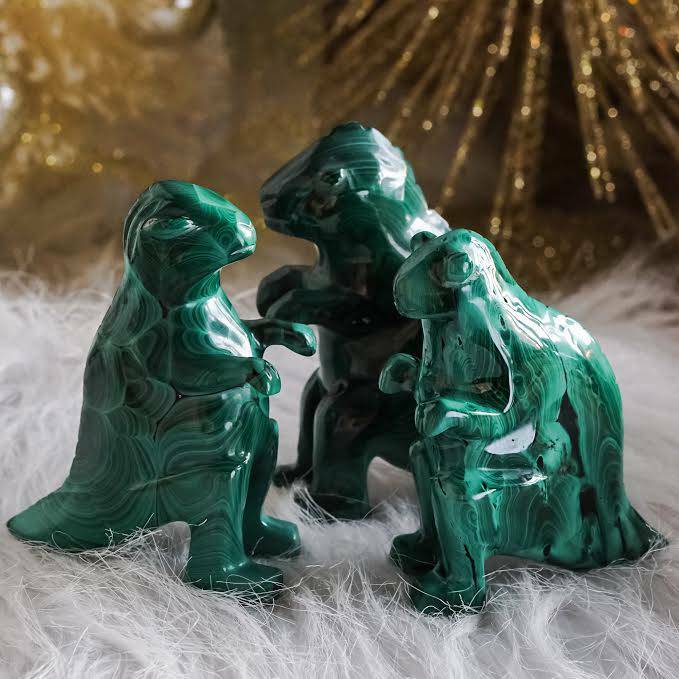 Purchase to earn 14 Points! 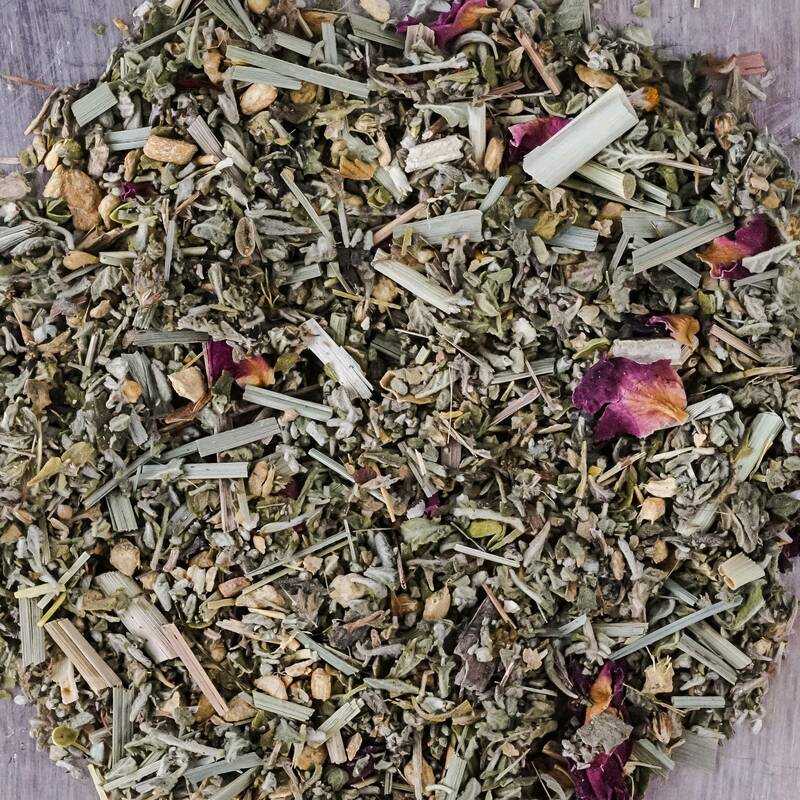 If you were in February’s AroMagic class, then you remember us talking about a recipe for you to make a Passion herb tea. 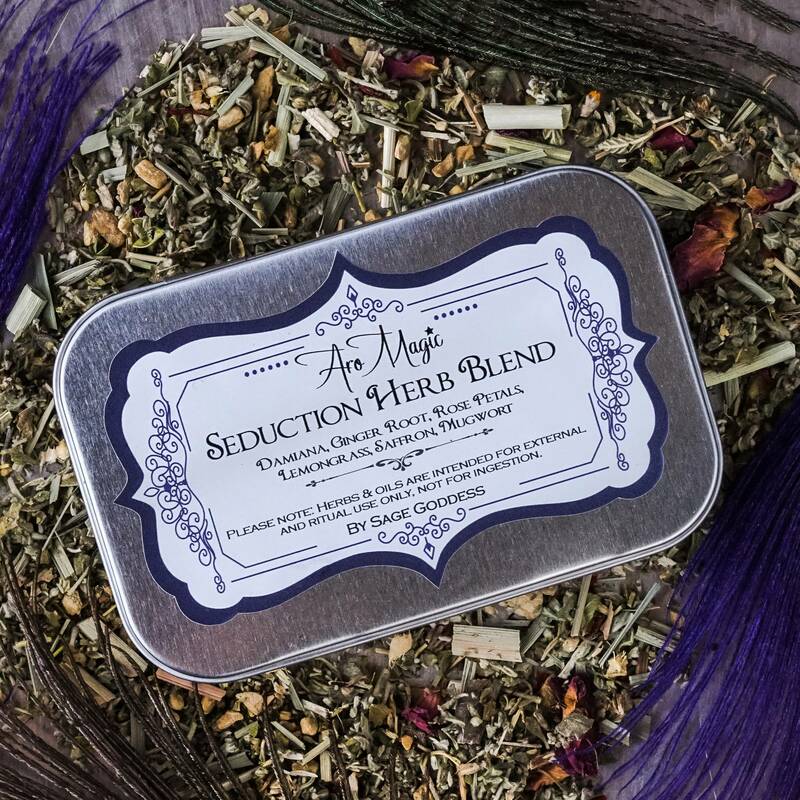 I’ve decided to offer you this corresponding Seduction herb blend custom made at SG just for you, to go along with your tools. 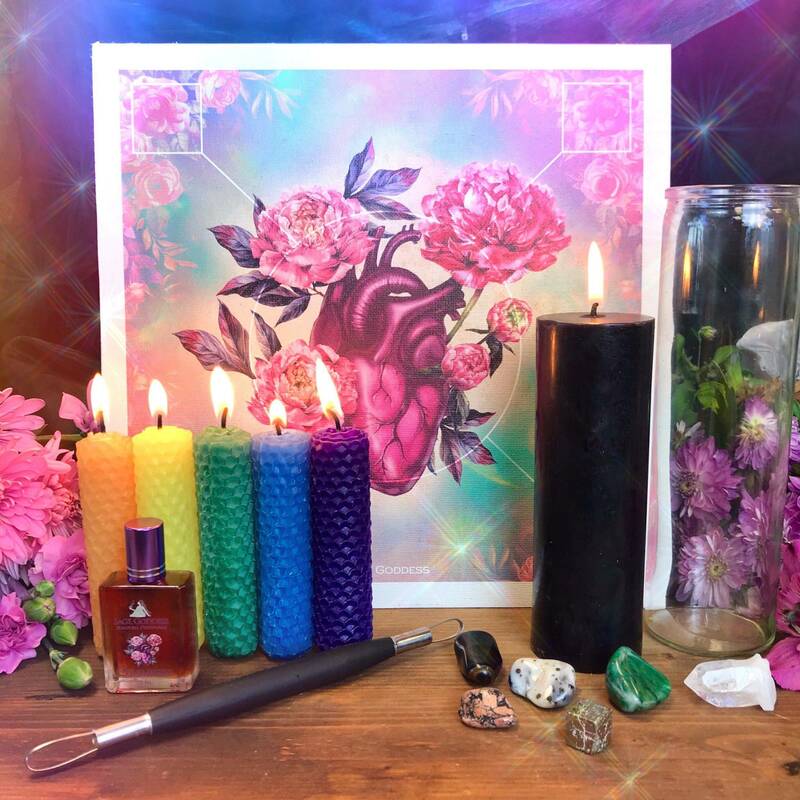 This blend consists of damiana, ginger root, red rose petals, lemongrass, saffron, and mugwort just like I discussed in class. 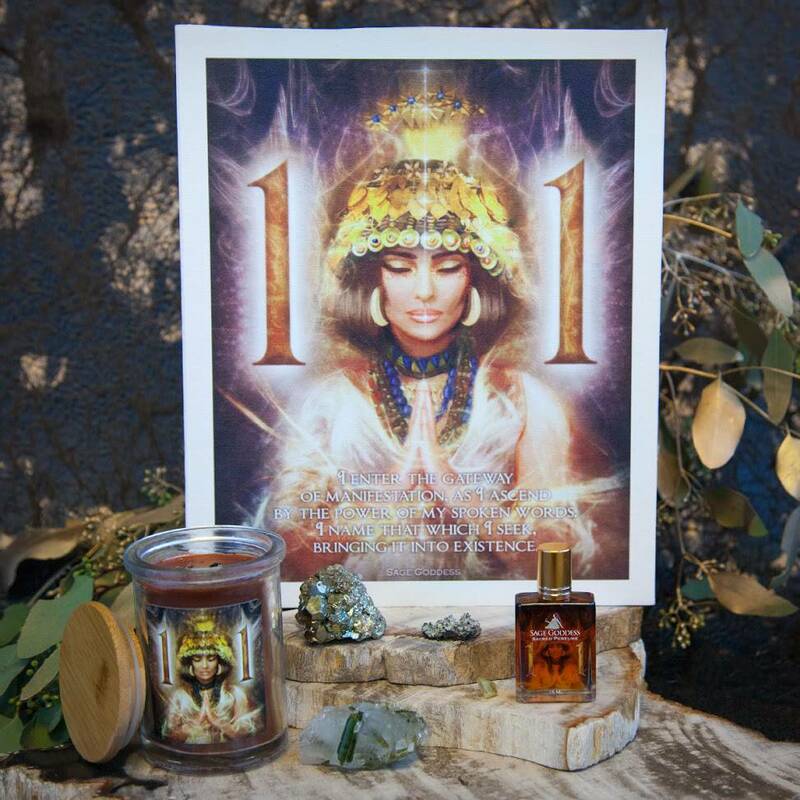 This blend will open your Third Eye and your heart. This is a truly heart opening blend of herbs. Most of these herbs we learned about in our last class and some we are covering in March! And saffron, which we haven’t covered yet is a rare, expensive herb which has been documented to have been used as a versatile medicine since ancient times. Lemongrass is often cultivated as a culinary herb due to its citrusy-lemon scent and flavor, and as a medicinal herb for its astringent properties. Damiana is a powerful aphrodisiac that has been used by the indigenous people of Mexico for thousands of years. It is used today primarily as a love drawing herb, and made into potent tinctures and teas by healers in Mexico. Mugwort is a dream herb, part of the Artemisia family named after the lunar goddess Artemis. This listing is for one (1) tin of Seduction Herb Blend as described.